Our primary function is to create, develop and broadcast / publish innovative Sports Content & Programming across all TV, Digital and Social Media platforms. Our secondary function is to help charities maximise their own efforts in fund-raising, event management and communications (websites, video, social media, etc) via these various aspects of sports media. As well as donating items directly to charities & sourcing items for charities, all profits made from the sale of Uniquely Sporting Sports Memorabilia will be reinvested into achieving our goal. 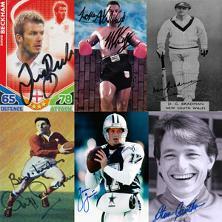 where Sports Stars & Fans take part in sporting challenges to win cash to buy Sporting Memorabilia to sell for Charity! CONTACT US for more details or if you'd like to: take part, to donate items or to host a visit from us. 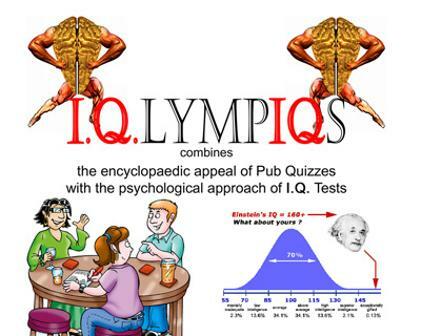 An Herculean challenge to test the world's top darts players and the cream of the country's club / pub players. 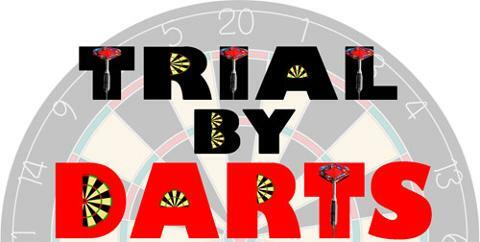 Six new darts-based tests rewrite the way players look at their darts and look at the board. "The TRIPLE 20 never moves ... UNTIL NOW!" into a challenging Team Sport in its own right. "The End of Sports Knowledge as we Know it!" All Brain ... No Buzzer !! We will be assisting the James Tredwell Testimonial season with digital & social media support. We are shooting a Video Diary for Kent Cricket all-rounder Darren Stevens covering his Stevo 2016 Benefit Year events. The Diary will feature footage and action from behind the scenes at his golf days, lunches, dinners, quizzes, special events and other fun sporting activities he will be getting up to in 2016. 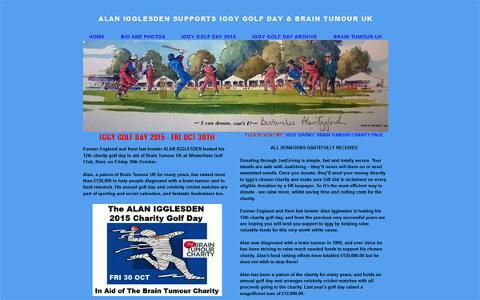 Uniquely Sporting designed and built a website for former Kent & England cricketer Alan Igglesden to promote his involvement with the Brain Tumour Trust Charity; and to host video & photos of his annual fund-raising Iggy Golf Day at Westerham Golf Course. The site includes details of Alan's career & his battle with Brain Cancer. 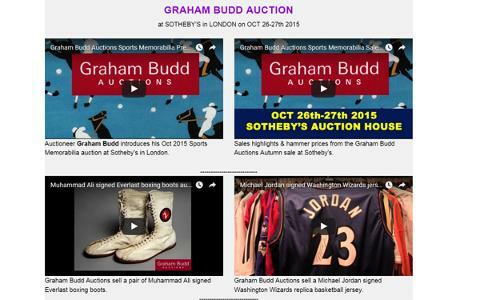 Uniquely Sporting filmed the viewing day of the prestigious two-day Graham Budd Sports Memorabilia Auction held at Sotheby's in London in October 2015. The viewing day videos were edited together with bidding action from the auction itself. Highlighted lots included Muhammad Ali & Michael Jordan memorabilia. 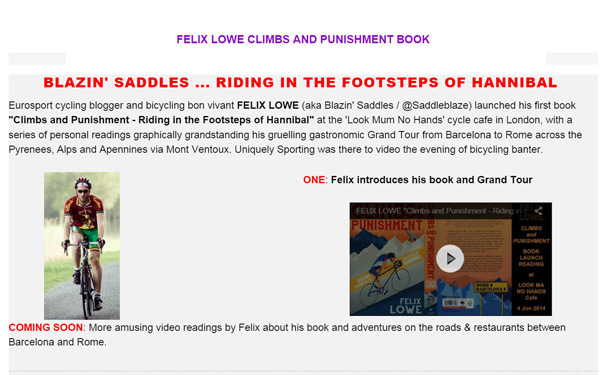 Uniquely Sporting filmed Eurosport's cycling blogger Felix Lowe aka Blazin' Saddles (@SaddleBlaze) deliver an amusing talk about his cycling / travel book "Climbs & Punishment - Riding in the Footsteps of Hannibal" at the Look Mum No Hands cycling café. Uniquely Sporting's idiosyncratic introductory music / rap video to showcase their eclectic collection of signed Sports Memorabilia and Sporting Collectables from Sir Don Bradman memorabilia to Sir Bobby Charlton memorabilia, from Ayrton Senna to Mike Tyson. Soccer Masters TV Show features Premier League footballers taking on each other over a series of customised soccer skills challenges testing the players on Passing, Dribbling, Shooting, Volleying, Heading, Ball Control, Juggling and the ultimate challenge the Soccer Masters Obstacle Course. Filmed in 1993 at Old Spitalfields Market in London. Original format & rules designed by Uniquely Sporting founder Colin M Jarman. please fill in the Contact Form to email us. Please make sure you add an email address. adding as much info as you can. & we can only reply to those messages we are interested in. and any further relevant info. WELCOME to the UNIQUELY SPORTING SPORTS MEDIA website featuring our unique sporting content and sports-related projects for: TV, video, online digital and radio broadcast, publishing - all with a charity / NFP link. As well as the sporting media side to our business we also own a growing collection of signed sports memorabilia and authentic autographed sporting collectables across most every sport: Football Memorabilia, Cricket Memorabilia, Rugby Union Memorabilia, Rugby League Memorabilia, Tennis Memorabilia, Golf Memorabilia, Boxing Memorabilia, MotorSports Memorabilia, Formula One Memorabilia, Athletics Memorabilia, Snooker Memorabilia, Darts Memorabilia, Soccer Memorabilia, US Sports Memorabilia, Baseball Memorabilia, American Football Memorabilia, Ice Hockey Memorabilia, Basketball Memorabilia, NCAA Memorabilia, Horse Racing Memorabilia, Equestrian Memorabilia, Cycling Memorabilia, lympics Memorabilia, Triathlon Memorabilia, Ice Skating Memorabilia, Lawn Bowls Memorabilia, Swimming Memorabilia, Hurling Memorabilia, GAA Memorabilia, Surfing Memorabilia, Bowling Memorabilia, Squash Memorabilia, Archery Memorabilia, Parkour Memorabilia, Skeleton Memorabilia, Winter Sports Memorabilia, Aussie Rules Memorabilia, Fishing Memorabilia, Angling Memorabilia, Sailing Memorabilia, Yachting Memorabilia. 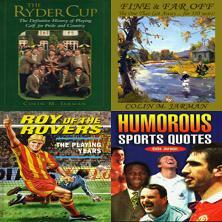 As well as Signed Sports Books, Sporting Board Games and other sports-related items of interest and historic value. If you have any questions or business proposals relating to the above please get in touch via the CONTACT US form. 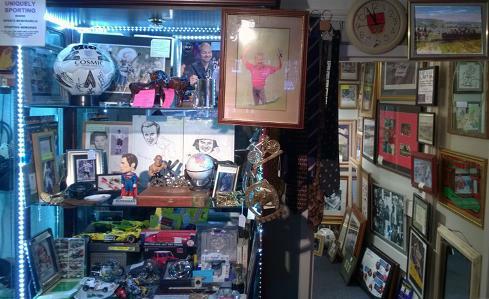 Click here to visit our partner Celebrity Autographs & Collectables store.